From vintage drum machines samples, dusty housey riffs, raw techy loops, tribal percussion patterns, deep sounding subs and fat analogue sounds, Tunecraft Twisted Tech Tools gathers all you need to create loud techno, tech house, house or deep house tracks from scratch and give you instant inspiration in the styles of Drumcode, Alan Fitzpatrick, Jay Lumen, Carl Cox, Mark Knight, Bedrock, Kompakt, Adam Beyer, and other genre’s leading artists. 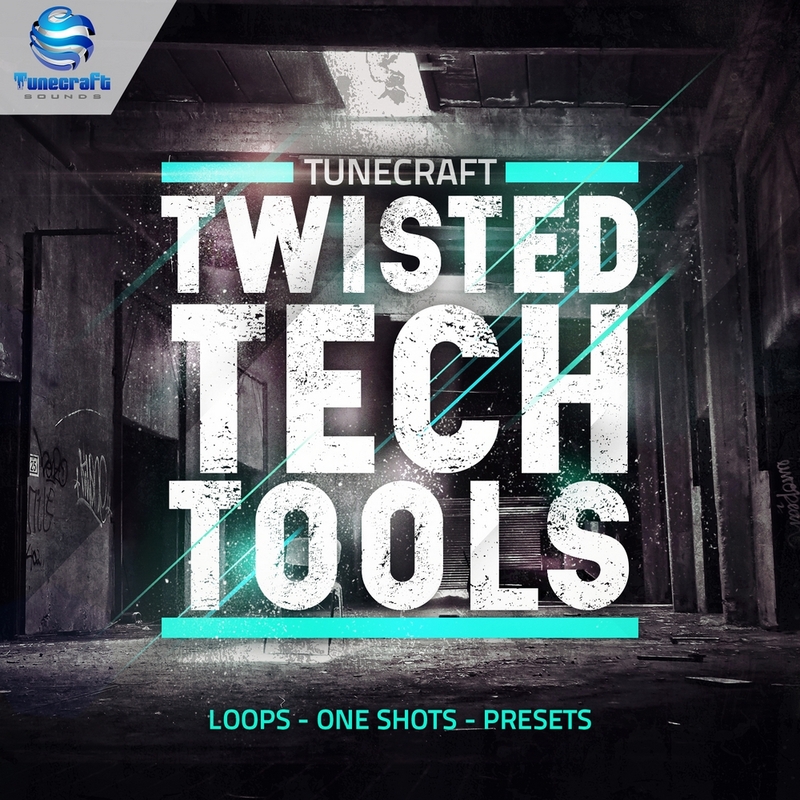 First you can expect to find 150 loops created at 125bpm in a variety of styles, organized in 20 starter kits and by typethat you can mix and match together easily, giving you endless opportunities to craft your own kits. All loops have been processed to reveal their natural warmth and clarity and sit easily in your mix. Also included are 133 drum hits to recreate your own drum patterns with kicks, snares, claps, cymbals and percussions. Additionaly you also get a genuine coillection of 60 presets for NI Massive carefully selected through our collection and picked to fit the pack and get you started with your own tracks. Please note that you need NI Massive 1.4 or higher to use the presets, and that sound effects are NOT included in this pack.